The ALS Association is committed to protecting the privacy of its users. Information gathered by us is used to monitor the effectiveness of our site, personalize your Internet experience, and respond to your questions and requests. The ALS Association respects the privacy of every individual who uses ALS Association-owned websites, mobile applications and other online products and services (collectively,"Site"). This notice applies to our information collection practices for this Site. Because your privacy is important to us, we provide you with notice and choices about the collection and use of your information. To make this notice easy to find, links are provided at the bottom of our homepage and on every page within our www.alsa.org (/privacy-policy.html) website. Patient information: As an ALS patient, your information is confidential and will only be shared with ALS Association affiliate entities with written permission from a patient or their designee (except to provide appropriate ALS Association affiliated entities the names and phone numbers of patients and family members who call The ALS Association's 800 number information and referral service seeking information or help and give their verbal permission for their names to be passed on so the local ALS Association entity can provide such help). Under no circumstances will The ALS Association provide information to outside entities, except where required by law and then only after providing notice to the patient and/or designee. The ALS Association will, upon request of a patient or their designee or caretaker, serve as an intermediary between patients and outside entities where deemed appropriate.The ALS Association may provide to government agencies and outside entities aggregate data on ALS including incidence and prevalence and number of patients served by The ALS Association. If you choose to customize the Web site to your needs by becoming a registered www.alsa.org Web user, we retain the preferences you select so that you will not have to reenter the information each time you access our Web site. These preferences may include requests for email, news, information on specific cancer types, language preferences, and interest group selections (patient, medical professional, volunteer). You can access your profile by entering your user name and password each time you use the Web site. You are not required, however, to enter your name or mailing address. If you register to participate in an ALS Association event, such as the Walk to Defeat ALS using our event registration site, we may ask you if you have a connection to ALS. This information is useful for event purposes. Further, if you elect to use our referral service to inform a friend about the event registration site, we will ask you for your friend’s name and address. We will store this information in order to send your friend a one-time email inviting him or her to visit the site. If you choose to donate to our organization, we maintain a record of your contribution. Requests: If you submit an online request for ALS Association products such as free brochures, or submit a question through a “contact us” query, we may have to gather additional information from you to respond to your request. Such information will vary with the request but often includes name, shipping address, telephone number, and email address. Supply you with information including ALS Association related news, campaigns, events and services. 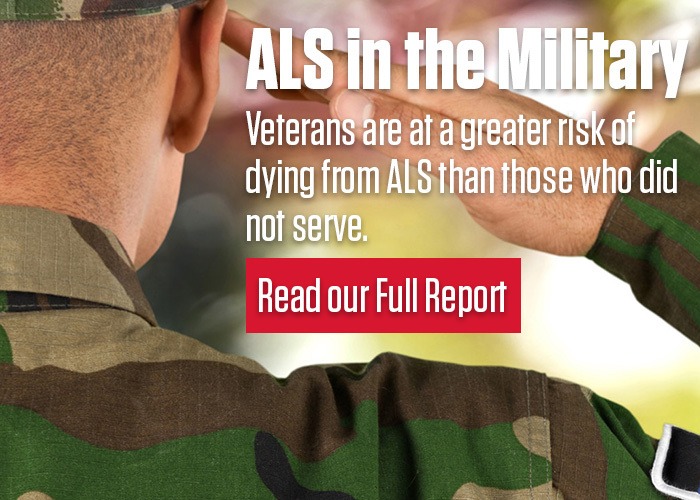 Request voluntary time or monetary contributions to The ALS Association. We collect the email addresses of those who communicate with us by email. Inquiries may be forwarded to the appropriate ALS Association department for response and may be entered into our constituent database. If your name is entered into the database, we may contact you (see (2) above). The ALS Association rents or exchanges its donor list with other qualified non-profit organizations to off-set fundraising expenses. The ALS Association respects the privacy of its financial supporters and, as such, would be pleased to exclude you from its list rental and exchange program. Please inform us if this is your desire at (888) 949-2577. Do not contact me with fundraising requests supporting The ALS Association. Our privacy policies apply only to your use of an ALS Association Site. The www.alsa.org website contains links to other sites, including sites that have a special relationship with us. We do not disclose personably identifiable information to those operating linked sites and we are not responsible for their privacy practices. Links to other sites do not imply an endorsement of the materials or policies on those websites. You should read the privacy policies of each site you visit to determine what information that site may be collecting about you.